Black Panther's Erik Killmonger is not a charismatic show stealer like Thor's Loki, or a profoundly deranged monster like Jessica Jones' Kilgrave, but he is easily one of Marvel's most compelling, heartbreaking, and relatable villains to date. 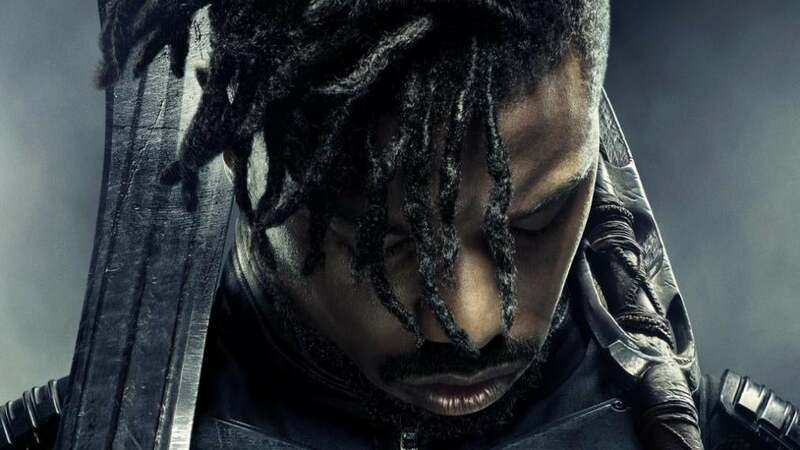 Killmonger definitely isn't "good," but he isn't entirely "bad," either. He's human, and he's got a motivation and perspective that Black Panther wants you to sit with and contemplate long after the second post-credit scene sequence ends. Killmonger is a very much a narrative villain who does the sort of things that bad guys do, but at the same time he's a person you can see yourself in all too clearly when you put yourself in his shoes. 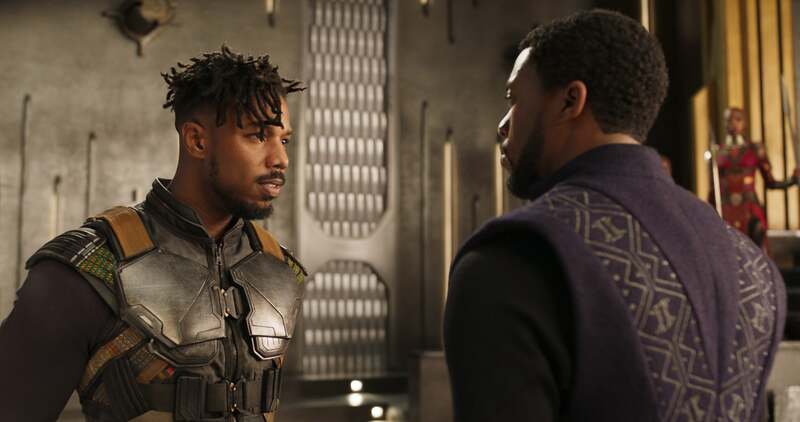 Killmonger has a perfectly understandable reason for harboring a deep resentment for the Wakandan royal family and, to a point, the country itself. Early in the film, we learn through a flashback that Killmonger's father N'Jobu, a Wakandan prince-turned-spy embedded in Oakland, California, chose to betray Wakanda. By partnering with Ulysses Klaue to steal vibranium from Wakanda, N'Jobu strongly believed that he would have been able to set off a revolution designed to bring an end to Wakanda's isolationist politics, something he felt was for the greater good. To N'Jobu, Wakanda's culture of secrecy and its noninterference in the affairs of other countries were a kind of social negligence that contributed to the oppression of black people across the globe. Depending on how you look at it, N'Jobu has a very, very good point. While present-day Wakanda is meant to be something on the order of 20 to 25 years ahead of the rest of the world, the implication is that in the past, the country was centuries ahead of its peers and thus was in a position to change the course of history - especially as it relates to the African diaspora. 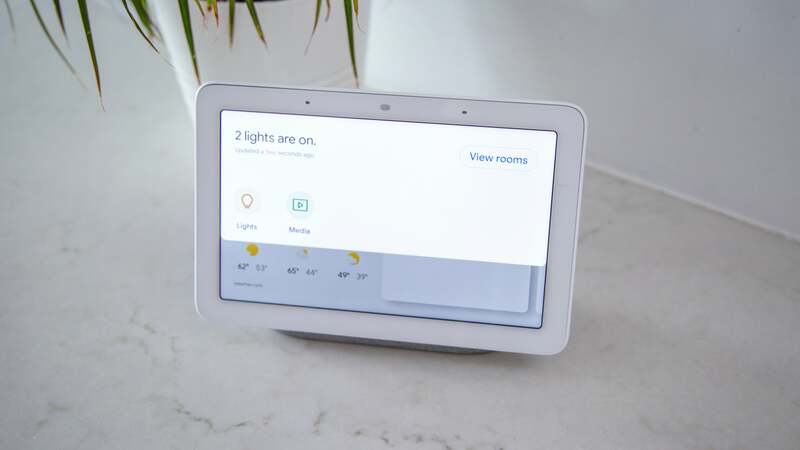 N'Jobu impressed these ideas upon his son and told Erik about the technological might of his home country, and the origins of their family tree. T'Chaka's ultimate decision to execute N'Jobu for his treason is understandable, but so too is the rage that his father's death sparks in Erik - a rage amplified by the fact that T'Chaka abandons his young, newly-orphaned nephew behind in America. Imagine knowing that you were descended from the royalty of an African country that had the power to upend the racial hierarchies that brutalized other black people across the world. Not only that, but when presented with the opportunity to go back to that country, your very own family made a point of rejecting you in an effort to protect itself. You would feel hurt and lost, and most likely filled with a deep-seated rage. Erik's predicament is the perfect crystallization of the inevitable tragedy that comes with fantasizing about a place like Wakanda where black people are truly free and unburdened by the impacts of institutionalized racism. Wakanda's very existence means that, for Erik, there's always a place where he could and would thrive in ways that he can barely imagine, but rather than being welcomed there, he's cast out and left to fend for himself. Erik is a stand-in for all of us who want to be part of Wakanda, even though Wakanda doesn't want part of anything else but itself. That's the harsh, canon reality of the Wakanda from Marvel's comics. The country is better off than the rest of the world and it is the kind of place where black people could flourish and prosper, but the Wakandans choose to keep to themselves, albeit for a number of obvious and valid reasons. The enthusiasm with which we (and by "we," I mean black people) celebrate Wakanda is, in a way, somewhat at odds with the painful realities that would come along with the existence of such a country - like the fact that they simply don't welcome outsiders. But there are heavier questions at hand as well. Where was Wakanda during the centuries when Western countries institutionalized the enslavement of Africans from other nations, during the Civil Rights era, or when other movements focused on the agitation for black equality? From both N'Jobu and Killmonger's perspectives, the whole history of black pain and suffering at the hands of those who see us as less than is something that Wakanda could have changed if it chose to, but it didn't. Those who suffered and suffer have a right to be angry, and if you were in the same position as they were, it's more than likely that you'd feel the same. Black Panther poses these questions to its heroes in such a way that makes clear that the film doesn't wholly see Killmonger as a villain. He's grappling with a multigenerational grief over what could have been, both for him and black people as a global community; it makes sense that he would see seizing the throne as an opportunity to begin righting the wrongs that have hurt him so deeply. As a concept, Wakanda's a vastly different place than when it was first introduced in Marvel's comics back in 1966. As more and more black fans and comics creators have come to love and create new stories for the Black Panther, Wakanda's become so much more than a thought experiment about what an African country would be like if it'd been untouched and unconquered by colonizers. The Wakanda we celebrate in our excited conversations about Black Panther is a love letter to the African continent, those of us who carry it with us in our blood, and wear it on our skin. It's the Wakanda that N'Jobu likely told Erik stories about when he was a young boy — a wondrous place where his talents and potential would never be squandered or extinguished. 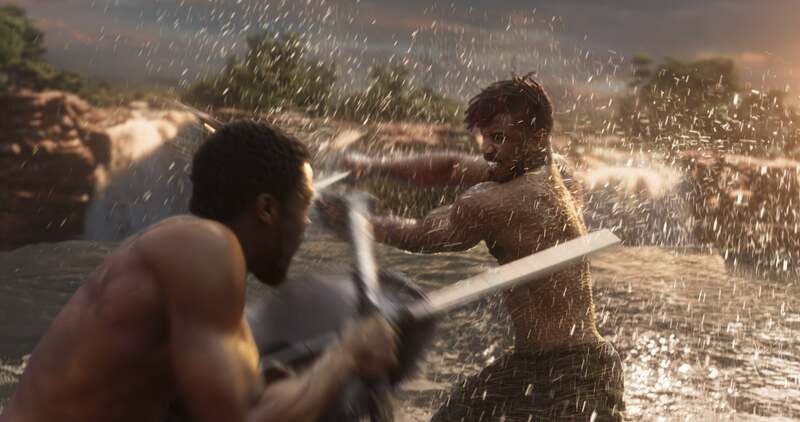 Erik Killmonger's story is tragic, but Black Panther expertly frames it as the ideal opportunity to confront the difficult questions we've all asked ourselves about Wakanda. He's far from perfect - indeed, he's a vicious killer. But he isn't exactly a villain, either. 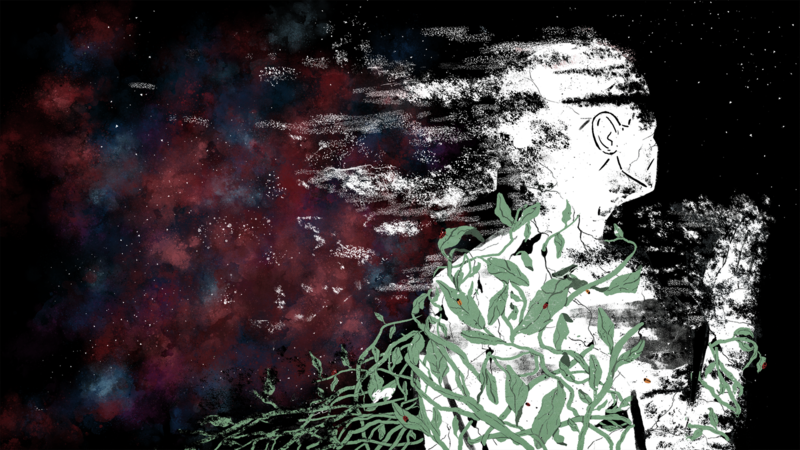 He's human and fragile and trying to work through a constellation of difficult, agonizing feelings. He's all of us.